Just three years ago, Kathy Jetnil-Kijiner was like many other spoken-word poets — her biggest audience being her loyal followers on YouTube. 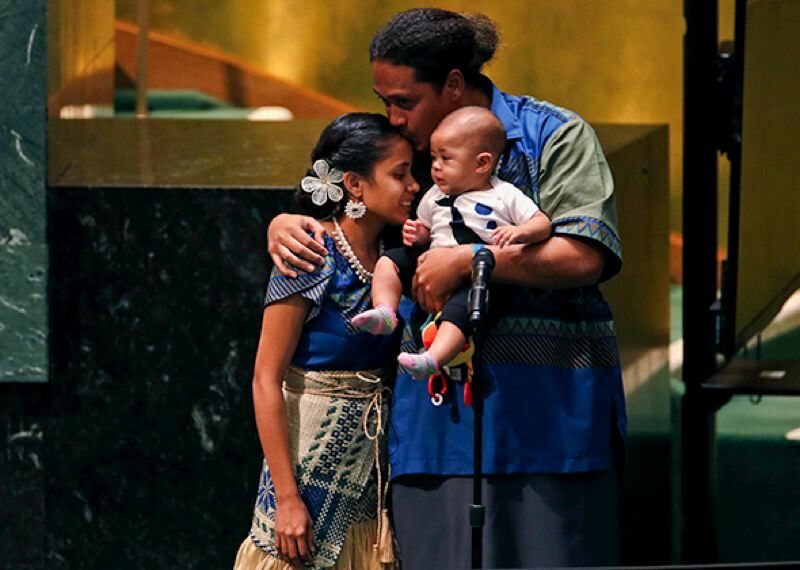 Then one of her poems garnered so much attention that the young native of the Marshall Islands — a sprawling chain of islands between Hawaii and the Philippines — was nominated to speak at the U.N. Climate Change Conference in New York City in September 2014. Chosen to speak from among 500 nominees, Jetnil-Kijiner donned a traditional Polynesian dress and handmade jewelry, then flew with her family more than 7,000 miles from home. She delivered a brief opening address, urging attendees to take action to end carbon pollution, prepare for climate change-related impacts, and invite indigenous people to help win the "most important race of all — the race to save humanity." 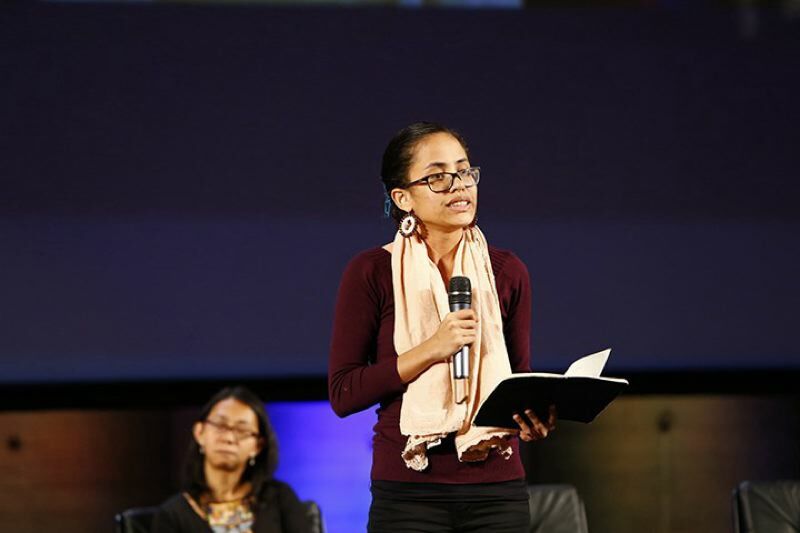 Then she dove into her poem — a personal letter to her infant daughter, promising that she will protect her and other islanders from destruction wrought by climate change. Jetnil-Kijiner, who recently moved to Portland, spoke for six minutes in all, and brought the room full of world leaders to their feet. She's been a presence at U.N. climate change conferences ever since, speaking in Paris in 2015, in Marrakech in 2016, and earlier this month in Bonn, Germany, at the 23rd-annual event. 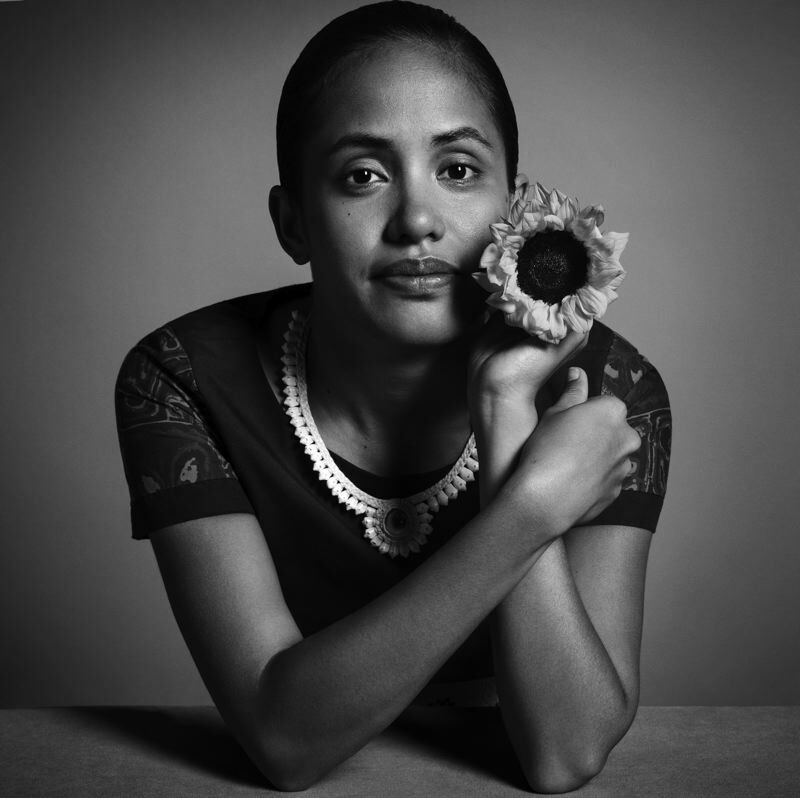 Thanks to her international platform, the 29-year-old writer and poet continues to make an impact — through her blog, her new book ("Iep Jaltok: Poems from a Marshallese Daughter"), and her continued climate activism. She has visited different Portland Public Schools with her presentations and is working with Portland State University's Pacific Islander, Asian & Asian American Student Center, which marks its one-year anniversary this month. 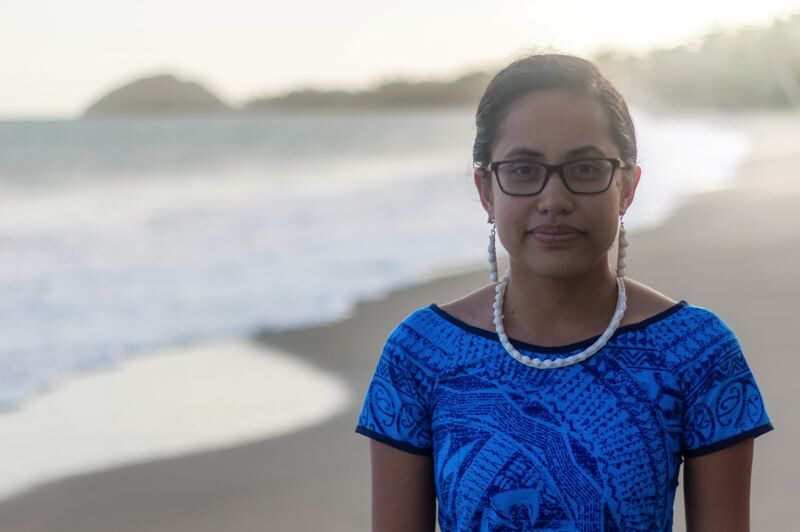 Along with the Pacific chapter of 350.org and Jetnil-Kijiner's own nonprofit, Jo-Jikum (which means Youth for a Greener Environment), she's working on a campaign they call Have Your Sei, using an island term for a flower worn behind the ear. For the Marshallese, climate change is taking its toll in an immediate, tangible way. "We're only 2 meters above sea level, with no mountains at all. Every time there's a high tide, we're on alert," says Jetnil-Kijiner, who moved to North Portland from the Marshall Islands in December, after attending high school and college in Hawaii. "When there's a king tide," she continues, "all this water rushes over and crashes into our homes and our crops and goes into our streets. It's really scary because we've never seen anything like that before. We've been seeing flooding about four times a year." The Have Your Sei campaign is part of a tri-state partnership, including the islander communities at Chaminade University in Honolulu and City College in San Francisco. They call themselves the Pacific Climate Warriors. • Implement everything the Paris climate change agreement calls for, including international efforts to ensure global average temperatures do not exceed 1.5 degrees Celsius from pre-industrial levels. "There are a lot of declarations made in these international spaces," Jetnil-Kijiner says. "This is unique. It's a first from the Pacific, and it's youth-led. It doesn't just represent one of our islands or one of our governments; it's completely grass roots-led."